imo free video call is a popular mobile app which enables you to chat with family and friends even if you are thousand miles away. With this convenient application, you are free to set up a group chat, deliver messages, images, and make a video or audio call. Without restrictions like texts upper limits, duration limits and charges for overseas talks, you can really enjoy having a free talk then. And for those who are apart from their relatives and friends, it really makes sense for them to record imo video call so that they can remember those funny and happy moments all the time. But how can we make it possible? Keep reading and you will find answer. 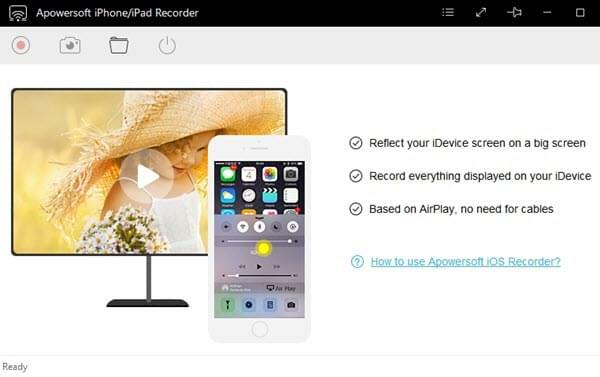 Apowersoft iPhone/iPad Recorder is a professional program running on both Windows and Mac platforms. It supports capturing any activity on your iDevices and you can also use it for recording a imo Video Call in high quality. 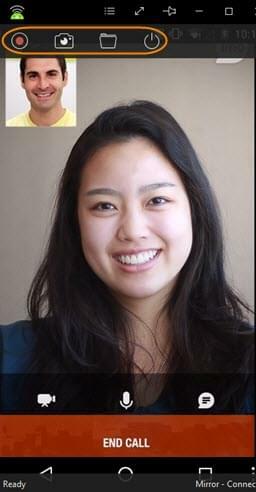 Moreover, you can even display your imo video call on computer screen simultaneously so that you can enjoy a larger screen when talking with your friends as well as record a video in high quality. With this wonderful imo video call recorder, you will enjoy the ultimate experience when you invite friends and have a heated discussion. As long as your iPhone and PC are under the same environment, you are able to connect them two wirelessly. Before recording, the very first step is to download this program and install it on your PC. Click “Download” button below and install it on your computer. Launch the program and you will see its user interface popping out immediately. Next, connect your PC and iPhone with the same Wi-Fi network. With your iPhone, slide from the bottom to open Control Center and press the “AirPlay” tab. Then you’ll see an item shaped like a PC screen with your PC name on it. Just tap this icon and turn on the “Mirroring” option. At the same time, “Mirror – Connecting” will show up at the down-right corner of the iPhone screen. Before recording, just preset the settings in “Options” menu. For instance, you should choose audio input as both system sound and microphone. 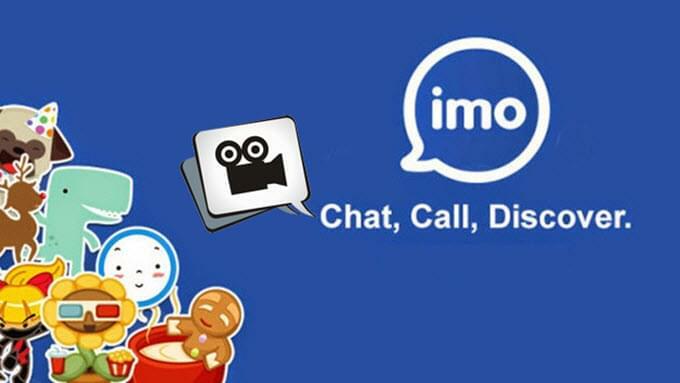 Open your imo video call and be ready to record. After that, just find “Start recording” button and hit on it. Just a few seconds later, it will record imo video call immediately. What you do on iPhone screen and what you say will be recorded and shown synchronically on PC screen. To stop recording, you can just hit the “Stop” icon. If you want to watch the recorded file, click “Open folder” and you can check it out. For those people who seek for a way for imo video call recording on Android, you can make use of Apowersoft Android Recorder on your phone. It is a handy program that allows you to capture any screen activity from Android and make a video. As long as your phone is Android 5.0 or later versions, you can utilize this tool to cast Android screen to PC without hassle and make recording. 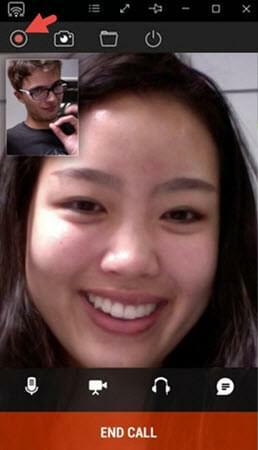 When you record a video call, audio track from both sides can all be synchronized with the recorded video in high quality. Just follow the guidance and you will know how to use it. The very first step is to download this program by clicking the button below. 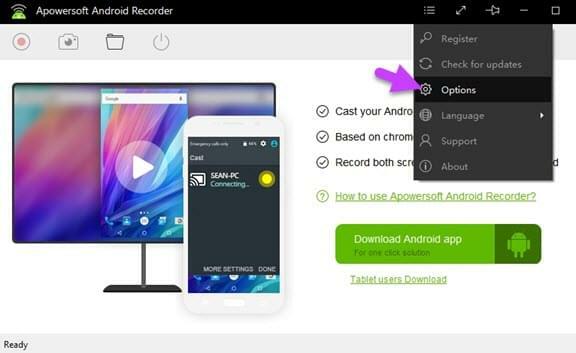 Launch Apowersoft Android Recorder on your desktop and preset some necessary settings in options menu. On your Android smartphone, drop down the notification shade and make sure that your phone connects the same network as computer does. Tap “Cast” icon and find an item with your PC’s name. You mobile screen will be displayed on the PC immediately. 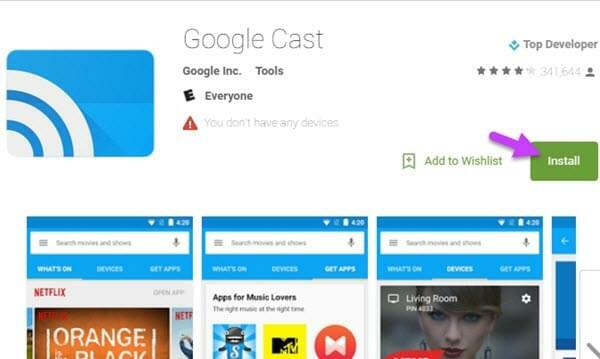 Note: If you do not find the “Cast” icon mentioned above, you can go to Google Play Store and download Google Cast app by yourself. And after installation, open the app and find “Cast screen/audio” part and press on it. If your Android screen is mirrored on PC, then you can go to the next step. Open an imo video call and start recording by clicking the red button located at the upper-left of the interface. Screenshot is also available, too. When you want to finish, just click the button at the same place and you can stop recording. Once done, you can find the recorded video in output folder. For those who make use of screen mirroring programs to record imo video call, here are some tips you can take for reference. If you want to be heard while making a video call, you are recommendable to talk over the earphone connecting to the iPhone/iPad so that your partners can hear you all the time. And if you want to record your video call, you will need to speak via the headphone of the computer. 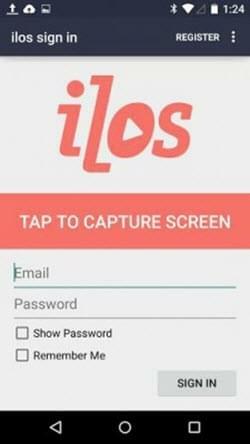 Besides what has been shown above, another third-party app that can record imo video calls on Android devices is ilos Screen Recorder. With this app, you are capable of recording activity on your mobile phone. It can work on devices of Lollipop and higher version. Without much limitation, you can create a basic imo call video quite simply. Those recorders mentioned above are all workable tools to record imo video call. No matter what devices you use, with the help of these tools, you will be able to keep various video calls for further memory and share those happy moments with your families and friends. hey?I have a problem of IMO calls In a video call or an audio call u hear others me they don't hear me please help,thx. If you want to be heard while making a video call, you are recommendable to talk over the earphone connected to your Android or iOS device so that your partners can hear you all the time. Hi, ghuman! I just wonder which tool you use for imo call recording and I advice you to send log files to working staffs so that they will help you out at first time. You can find "support" or "feedback" part by opening up the more menu of app's interface, and then tell your problems in details and remember to send log files. Just be patient and your problem will soon be solved. Hi. You can just use the tools suggested in this post. Thanks!